Love mid-century Modern Style? Here are four things you should know. 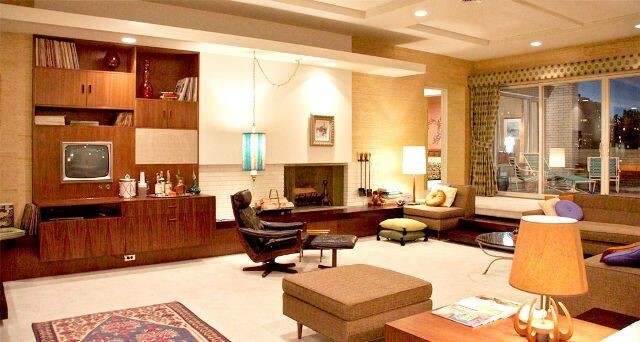 It was the end of World War II, which birthed the design and inspiration for mid-century modern design. The devastation of the war, and the celebration of peace resulted in a new modernity, one with a changing economy, technological advances and the expansion of urban centers. Out of these changes emerged the demand for modern furnishings, for a new, quickly build homes of the era. Technological advances changed production, and development of the range of new materials, and made it possible to explore texture, colors, and new forms. Mid-century modern style is unique, and largely driven by the innovated mass-produced furniture, and accents. No other period has had the same volume of commonly known artists and designers as mid-century modern period. Mid-century modern designs are all about the ease of living. This is reflected in its structure, and all about organic style design. What I mean by that is, furnishings and floor plans are stripped down to their essentials, with no excess for detailing. Along with Technological advances, came new methods and new materials. Mid-century modern design liberally uses traditional and non-traditional materials such as, plastic, glass, vinyl, plywood, plexiglas, and Lucite. Plastic drastically influenced later mid-century modern designers. Plastic was used for its own qualities, not to imitate wood, or other materials. There was also the vast use of color, everything from neutral to bold, and an explicit use of black and white. There are several mid-century modern designers that have continued to inspire designers who came after them, and have become household names. Their furniture pieces inspire design, as well as copies of their work are sought after, still today. Here are some of the best-known designers of the period. George Nelson, Edward Wormley, Eero Saarinen, Harry Bertoia, just to name a few. Mid-century modern design consists of the classic understated look, with clean lines, and minimal appearance. The functionality of the mid-century modern furniture and design is important. The design piece should include sleek lines, geometric form, and minimal ornamentation or clutter.Mid-century modern feature should include a contrasting of materials, mixing and matching traditional and non-traditional materials like wood, metal, glass, plastic, or cotton. Samantha E. Walker is the Content Marketing Manager at www.emfurn.com. She has a great experience in writing the number one source for modern, contemporary and mid century modern furniture. Emfurn was started in late 2013 to address the growing need of value priced modern furniture where high quality and reasonable yet affordable prices are intertwined.